When you think about affordability and portability, two brands always come into the minds of techy customers, and they are Toshiba and Dell. Both brands have developed many innovative laptops that are priced competitively as compared to high-end brands on the market, like Apple. They also compete in portable design and dependability. 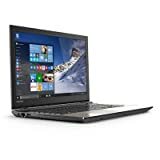 Confused between Toshiba and Dell about which laptop brand to choose? For your peace of mind, this article will help you decide which of the two is perfect for your needs by providing a comparison of their price, dependability, and design. Dell laptops can be bought mainly from the company’s online store, though some of its base model Inspirons can be purchased from third-party stores. On the other hand, Toshiba laptops are mostly available in third-party retail stores. This makes Toshiba more available than Dell if you want to purchase your laptops in a retail store. However, if you like to purchase online, Dell is a better option than Toshiba. In terms of price, Dell’s entry-level laptops cost at least $400 while Toshiba laptops can offer a lesser price for the same features. Although Dell provides a discount of their laptops through online coupons, the price is still higher than Toshiba laptops once they are put on sale at retail stores. Therefore, Toshiba wins over Dell in terms of price. One of the best laptop feature that you need, if you are always on the go, is a long battery life. It would be such a bummer if you can’t use the laptop for long when you are working outside of your house or office. Between Dell and Toshiba, the former has the best battery life because of its Dell Chromebook 13-7310 which offers 13 hours of battery life. This makes the Dell Chromebook a better brand on the market. On the other hand, the Toshiba Chromebook 2 CB35 only provides 10 hours of battery life. Therefore, Dell wins over Toshiba in terms of battery life. Dell laptops are renowned for their simple, yet sturdy designs. While Dell constructs its laptops with an aluminum-magnesium body, Toshiba sticks to manufacturing a plastic body for its laptops. This has been manifested by the creation of Dell’s Chromebook 13 and Toshiba’s Chromebook 2. This makes Dell superior over Toshiba in terms of build quality design. The Dell brand also offers an option of various colors like its flagship model, Inspiron laptop series, which offers a range of colors such as gold, blue, and red. On the other hand. Toshiba limits its colors for their flagship model, the Satellite series, which only comes in a silver color. In other words, Dell offers a more stylish design than Toshiba in this aspect. In terms of mobility design, Toshiba is hands down better than Dell when you compare the Toshiba Satellite Fusion 15 L55w-C5259 and the Dell XPS9350-53402LV QHD Touchscreen laptop. The Toshiba Satellite Fusion can be converted into a tablet for mobility. It is built with an IPS touchscreen and a back-lit keyboard. On the other hand, the Dell XPS9350 can’t be converted into a tablet, but it is lightweight for portability. If you are seeking a laptop that can withstand the heavy work you do every day, then you need to choose a brand that can deliver a high performance. Between Dell and Toshiba, Dell may have a higher performance because of its XPS 15 model which is made of high-end gaming components. Although it is meant for gaming purposes, you can still play some demanding games seamlessly through its 15.6-inch touch screen. However, Toshiba offers a better display quality than Dell, as manifested by its Toshiba Satellite C55 model. This specific model offers a display screen with a high pixel density. If you want a laptop that provides the best display, then this specific Toshiba model is right for your needs. If you sum up all the points of comparison in this article, it can be determined that Dell is slightly better than Toshiba in terms of build quality, color, and performance. However, Toshiba wins over Dell in terms of price, mobility, and display quality. Availability is ruled out by this evaluation because both brands are available depending on preference.